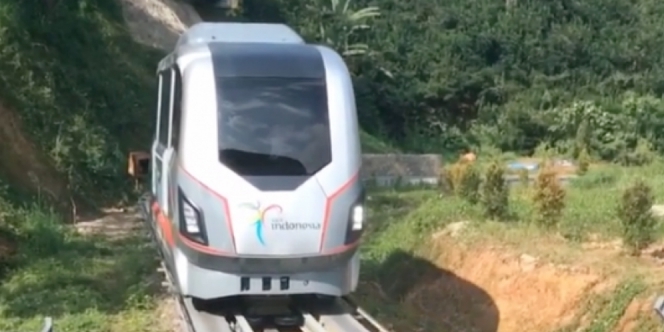 Is this the first Indonesian-made LRT? Traffic density problem are always a challenge for the major cities in Indonesia. Causes may vary, ranging from an increased volume of vehicles, motorists are less orderly, narrow streets, and so forth. The lack of public transport facilities to support the citizens convenience sometimes be the reason. For that any effort to improve the reliable public transportation system which is free of traffic jams in Indonesia deserves to be supported. Recently in Bandung, the effort was underway through a LRT (Light Rail Transit) prototype developed by the Indonesian engineers are being tested. The LRT itself is one of the passenger railway systems and operating in urban areas whose construction is lightweight. It could even run alongside other traffics or in a special track. As posted by the Mayor of Bandung Ridwan Kamil in his Instagram account that displays a short video about the tests of a LRT prototype. And seen in the video, the LRT is already running and can be used, although only one railway coach. There's no detailed information only mentioned in one railway coach can accommodate 50 people, and run with maximum speed of 40 km/h. 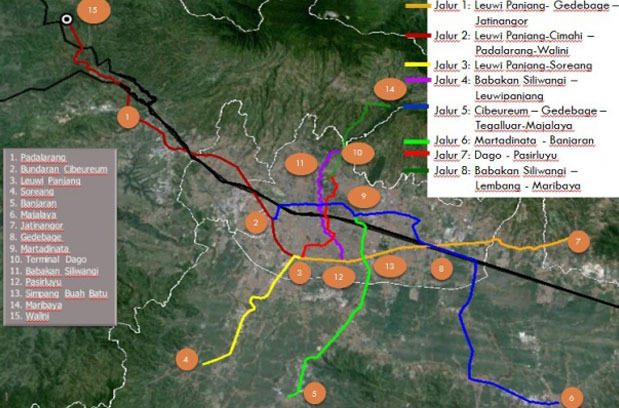 As reported by GalaMediaNews.com on February 3, 2016, that the West Java provincial government plans to build eight LRT lines in the area of Bandung Raya. And currently the work is still in the processing the DED 3 (Detail Engineering Design) stage.